Let me begin by saying, this does not taste like La Madeline's tomato basil soup because I did not use a stick of butter or heavy cream in it. With that being said, this recipe is still yummy and much better for your figure! Once again this recipe comes from the cookbook, "Cooking with Class." ***Do not use low sodium chicken broth otherwise you will have to add a lot of salt which is what I ended up having to do because it was too bland. 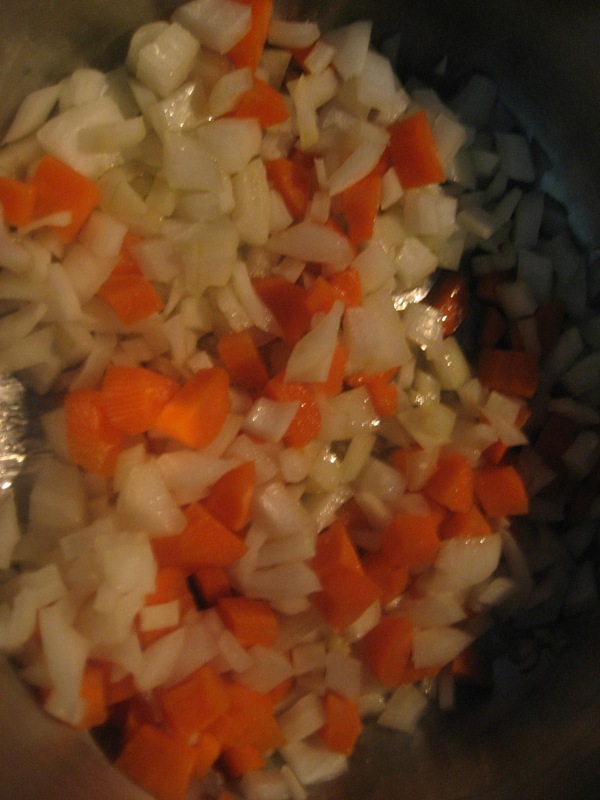 In a large pot, heat olive oil and add onion, garlic and carrots. Saute until softened (about 15 minutes). 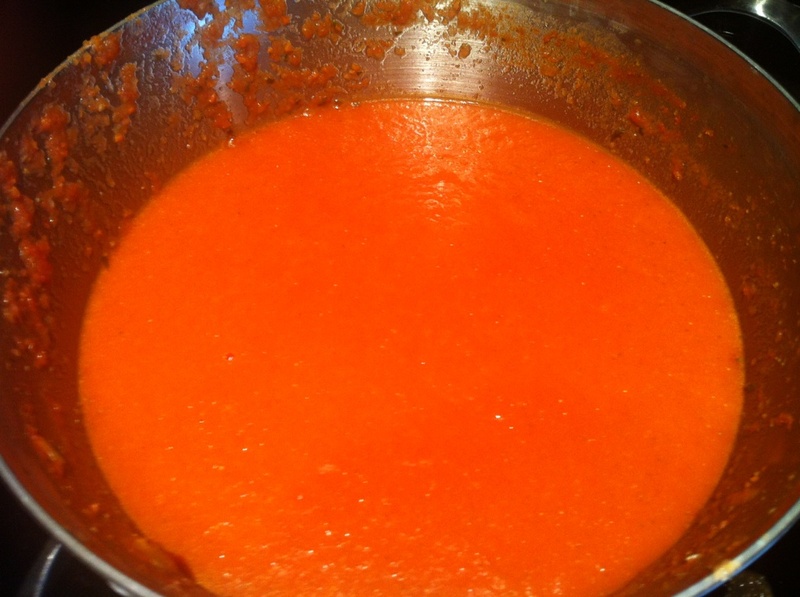 Add tomatoes, chicken broth, tomato paste and basil. Simmer for 20 minutes. Puree mixture with hand wand or in the blender. 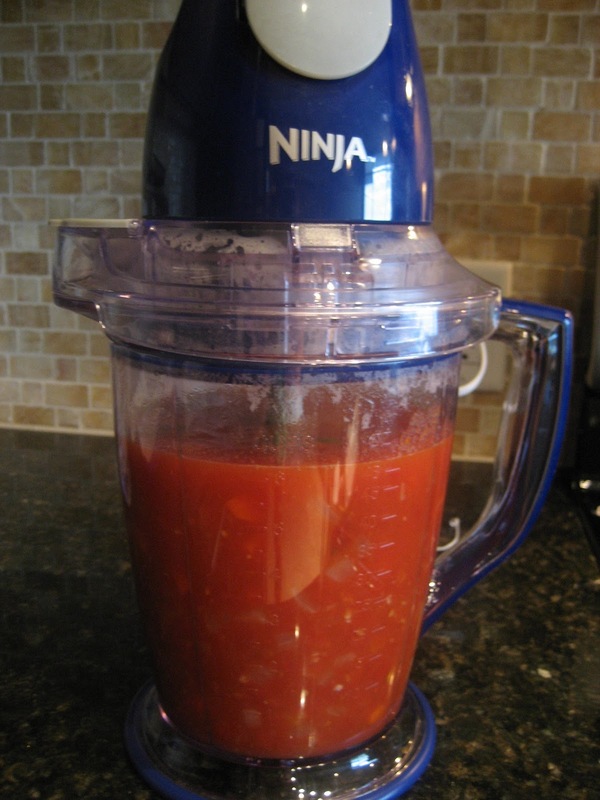 If you like your tomato soup smooth, then you will have to blend for longer. Return to pot and add parsley, salt and pepper. 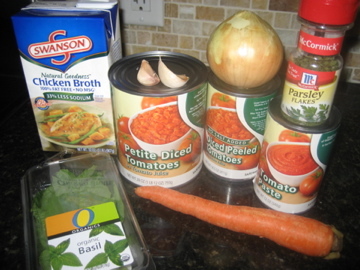 If you prefer a chunkier soup, you can add the extra can of diced tomatoes. However, I opted against this as I like my tomato soup smooth. Serve hot with a dash of chopped parsley, fresh basil or parmesan on top. My husband and I enjoyed this with a grilled cheese!